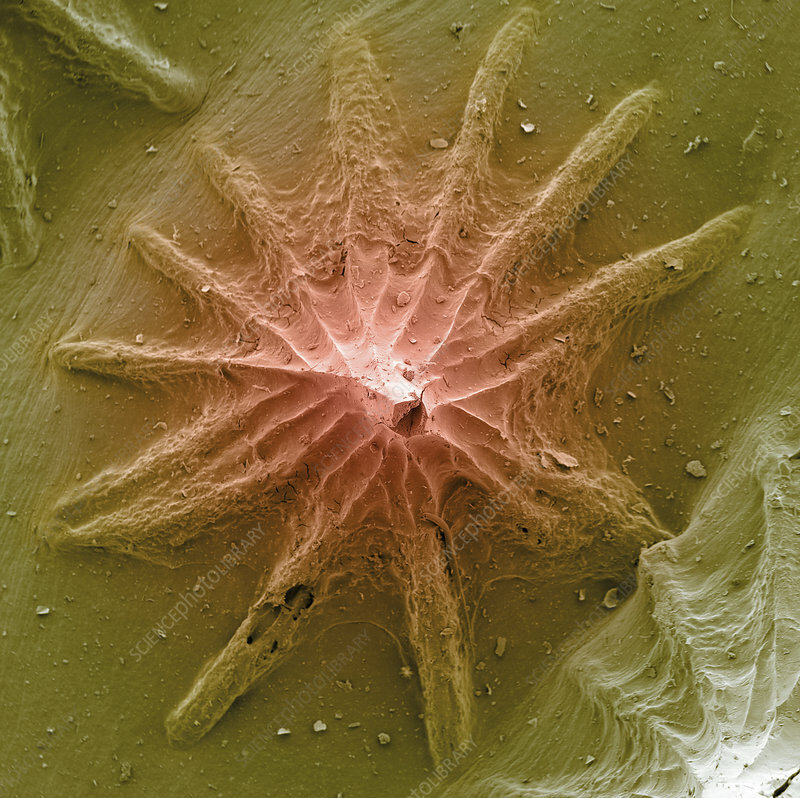 Colour enhanced scanning electron microscope image of the skin of the prickly shark (Echinorhinus cookei). Native to the Pacific Ocean it is bottom-dwelling in nature and inhabits cool waters. The skin of this shark is characterized by a dense covering of thorn-like dermal denticles, hence its common name.